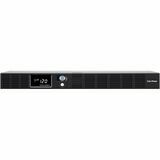 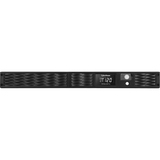 Tripp Lite's AVR750U Ultra-Compact Line Interactive UPS offers complete power protection for desktop PCs, network workstations and a wide variety of professional and consumer electronic devices. 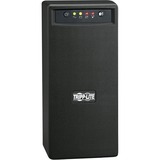 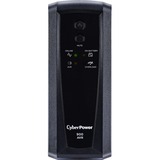 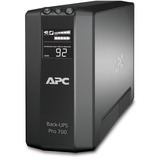 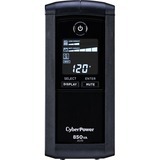 Uninterruptible Power Supply / UPS circuits switch to battery backup mode within milliseconds to keep connected equipment running without interruption or data loss during power failures. 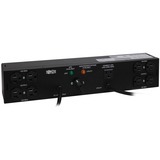 Automatic Voltage Regulation / AVR power conditioning maintains smooth, continuous operation of connected equipment during brownouts and overvoltages. 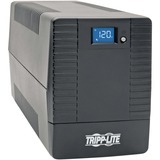 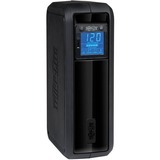 Surge-only outlets offer convenient protection for printers and other desktop accessories not requiring battery support. 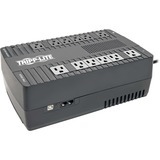 AC and dataline surge suppression prevents connected equipment damage. 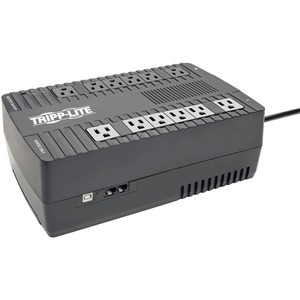 USB communications port supports built-in power management and auto-shutdown features of Windows and Mac OS X or full featured monitoring and data-saving auto-shutdown options using Tripp Lite's free PowerAlert monitoring software.